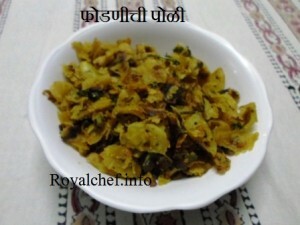 This is a simple and easy to understand step-by-step Recipe for preparing at home authentic Maharashtrian Style Phodnichi Poli, which is also called Chapati Chivda. 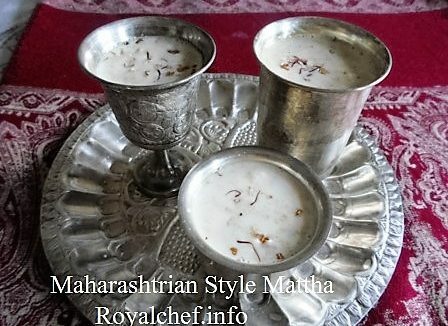 This is a typical Maharashtrian Middle Class dish, which is prepared using Chapati or Poli as it is called in the Marathi language. Fresh or even Leftover Chapati can be used to prepare this simple yet wholesome dish, which can be served for breakfast of even as a part of the Tiffin Box when you are in a hurry or don’t have sufficient time to make packed meals. Break the Chapati into small pieces. Chop the Coriander and Green Chilies. Peal the Potato and cut into small slices. Heat the Oil in a Kadai and add the Mustard Seeds, Cumin Seeds, Asafoetida, chopped Onion, Green Chilies and sauté for a minute. Then add boiled the Potato, Salt, Turmeric Powder, Red Chili Powder and sauté for a minute. Add pieces of the Chapati, Coriander, Coconut and fry for two minutes on a slow flame. Serve hot after garnishing with Coriander and grated Coconut.